An author faces a monumental task when writing historical fiction. If one historical fact is wrong or an anachronism appears, the reader is likely to put aside the book in favor of one that achieves historical accuracy tempered with believable dialogue, heightened tension, and sympathetic, yet flawed, heroes. 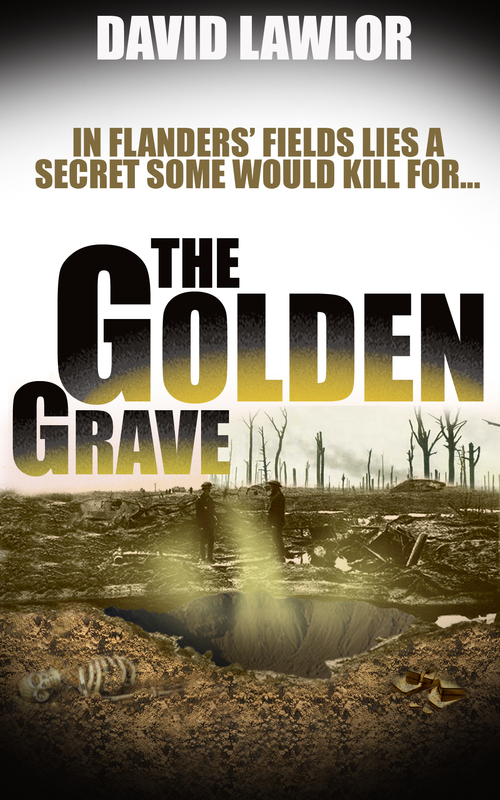 If you are a reader of historical fiction who requires accuracy, suspense, and flawed, yet heroic main characters, then I suggest you go directly to Amazon and buy Tan or The Golden Grave or both by David Lawlor. I read Tan first because it is the first in the “Liam Mannion” series of suspenseful and historical novels written by Lawlor. I interviewed him on Author Wednesday a few months back and was intrigued to learn this journalist writes while commuting to his job an hour each way. This process works to create suspenseful fiction with colorful and unforgettable characters. Set in England and then Ireland in the year after the end of World War I, Tan explores the war of a closer nature immediately following Liam Mannion’s release from the English Army in 1919. Here’s a guy forced to leave Ireland at a young age because of an act he witnessed after a night of drinking at a friend’s wedding. It’s here where the conflict of the story begins when the evil Webber blames and accuses the young Liam of an indecent act against a virtuous married woman. Webber’s fiction that forces Liam into exile begins a whole series of events that mark Liam for life. Liam heads to England in 1914 and ends up in the English army fighting in France during the majority of World War I. When Liam eventually heads back to England after the horrid and putrid rot of dead bodies that made up his memory of the war, he ends up in an insufferable situation, which leads him to homelessness, and then worse, as an officer of the crown as a member of the powerful and often repressive Black and Tan. Liam turns a blind eye to the atrocious behavior of his English comrades, only until it becomes evident that his loyalty to the Black and Tan extracts too high of a rent for clean clothes and warm bowl of soup. Lawlor captures the uncertainty of the times through the examination of Liam’s uncertain future as he’s thrust into situations beyond his control. Precise and graphic descriptions of life in England and Ireland post-World War I show that despite the end of a tragic war on the mainland of Europe, Ireland faced an even greater war at home with the invasion and intrusion of the Tans. Lawlor peppers the novel with descriptions filled with contrasting details that employ the senses to show the reader that the situation and the setting are both beautiful and polluted. Tan is both tender and violent as the reader is drawn into the abyss of angry revenge and the love and loyalty of friends and family. It also shows that being born into a family does not guarantee such loyalty. The character of the individual breeds the kind of loyalty that would take a bullet and shoot a bullet to protect and exact revenge. 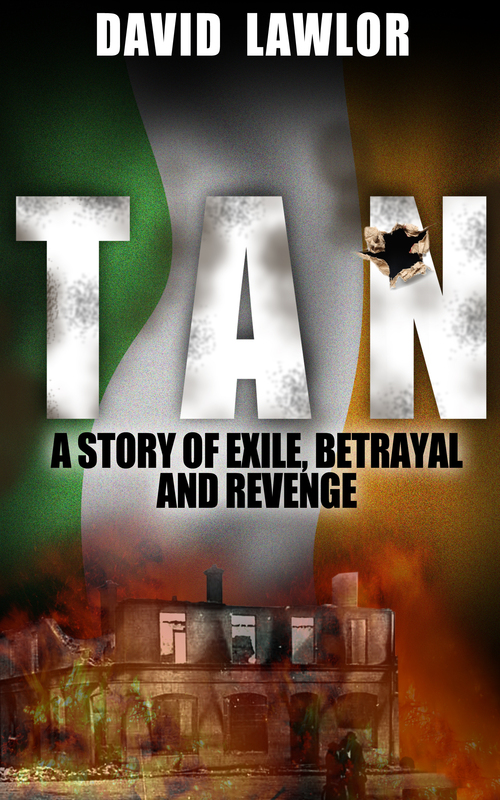 I highly recommend Tan if you like immersing your senses in the past of one hundred years ago on English and Irish soils bloodied from wars and stained with tears. I also recommend reading Tan before delving into Lawlor’s second “Liam Mannion” novel, The Golden Grave. Liam is once again in exile in England in 1920 when he runs into a war buddy from the trenches in France. The novel’s conflict is set almost immediately as a group of World War I veterans enter into a dangerous project that involves digging into the battlefield grounds of France to find the pot of gold. The love and lust affair between Liam and Sabine offers some sexual tension, but also provides a buffer between the tedious task of unearthing the treasure and the trauma all the former soldiers feel upon returning to the arena of so many deaths—some of which they caused. Liam Mannion is impacted by the war, yet in him Lawlor has created a sympathetic and very human main character. He loves, yet he’s afraid of rejection so he holds back. He’s loyal, yet his temptations lead him to places that test his loyalty. He doesn’t always win those personal battles, but he manages to find his way back to remind us all it’s never too late to find redemption. The Golden Grave is more graphic and more violent than Tan. The horror of war and its impact on individuals plays a role in the plot, but perhaps the quest for gold to quench an unquenchable greed drives the conflict and extracts tolls far more costly than war. It also points to human failings of the worst kind. Lawlor’s talent is evident in the fast-paced and moving story of war, greed, and passion found within the pages of The Golden Grave. I’m not one for war stories in general, but The Golden Grave is so suspenseful and action-packed and filled with historical importance that I enjoyed every minute reading this book. Note to Mr. Lawlor: I hope there’s a third “Liam Mannion” novel in the works. This entry was posted in Book Review Friday, Ramblings of a Writer and tagged Black and Tans, England, English, Flanders, France, historical fiction, Ireland, Irish, suspense novel, veterans, World War I. Bookmark the permalink. Thanks for featuring David’s books. I am a big fan of his work and I am very glad to find I am not alone. Great reviews Patricia! Thanks, Christoph. You know it’s a good book when you think about the characters after the book ends. Thanks so much, Patricia. I’m delighted with your reviews and I really enjoyed reading your take on the stories. I’m halfway through writing another Liam Mannion story at the moment. I’ve been struggling a little with it. Your reviews have given me much-needed impetus. That’s wonderful, David. So happy to be a part of geting your engines going again. Very nice of you to say so, Christoph. I’m a big fan of your writing, too.